The market for AI is so overhyped, virtually anybody looking for a fast buck can re-package an old abacus and sell it as a “machine learning” platform. Misinformed people buy the idea and the mounting frustration makes it extremely difficult for legitimate AI companies to get their message above the din. To successfully stand out in a crowded market, creative marketers have found it critical to create unconventional educational content and enlist the support of credible B2B influencers in their space. In the ever-shifting AI solutions ecosystem, even expert-led and well-thought out marketing campaigns can — and often — fail. To reduce costs and save time, marketers of AI products need to learn at the onset, or as early as possible, exactly which specific method doesn’t deliver the results for their solutions. In addition to basic AI marketing techniques like gathering customer testimonials or offering technical education, other approaches such as content, influencer, and account-based marketing have proven to be another set of effective methods for showcasing and selling several unique business applications of AI. To glean strategic and tactical insights on how to make such marketing techniques work in AI, I spoke to the CMOs of two top AI vendors — GumGum’s Ben Plomion and Nudge’s Jaxson Khan — who have successfully leveraged unique content and B2B influencer approaches to convince and convert their target audiences. GumGum applies patented image-recognition technologies to analyze, protect, and optimize brand messaging while Nudge probes all relevant communication data to generate actionable relationship intelligence. Khan found that influencer marketing delivered the highest returns for Nudge and that organic traffic was more effective than paid ads, with 80% of inbound traffic driven by posts from influencers across Twitter, LinkedIn, and other channels. After executing a variety of content marketing initiatives, Khan concludes that it’s better to engage industry influencers via a few quality, highly targeted, and unique pieces than to cast a wider net using lots of content about AI in general. Inspiring the right targeted conversations is no easy task. “The hardest part of creating great content is coming up with a great catchphrase,” Khan emphasizes. “You need a campaign people will resonate with and feel attached to. You also need content that influencers will care about and share.” One of the Nudge marketing team’s proven tactics is to champion contrarian or counterintuitive view that goes against conventional wisdom. “Hustle harder” is a conventional trope in sales, where salespeople are told that success comes from aggressively prioritizing quantity over quality. Khan’s team advocated the opposite opinion with their contrarian #holdthehustle campaign, which was one of their most successful campaigns delivering 2.6x more traffic than average. The campaign appealed to both influencers and prospective customers by disputing traditional “hustle culture” and arguing that building authentic relationships over time is a better strategy for successful sales. The marketing team at computer vision company GumGum approaches brand communication on two fronts, representing different points of their customer journey: broad, educational content for building industry-wide thought leadership and brand awareness and tactical, how-to content that supports in-house salespeople converting prospectives who are ready to buy. Content at the top of the funnel includes white papers designed to influence big brands such as BMW, Adidas, and Disney while tactical content can include video case studies of how image recognition improved customer results or how GumGum’s advanced computer vision technologies enable superior brand safety. “GumGum’s strategy represents a happy marriage between sales and marketing.” explains CMO Ben Plomion. “Marketing cannot be done in a silo. It must be data-driven, validated, and value-backed.” Efforts from the two organizational units are well-aligned: marketing campaign call-to-actions facilitate seamless touch points with sales, while salespeople consistently provide clients with co-marketing opportunities such as press interviews and case studies. One key challenge of unifying marketing and sales is to let go of ideas which may seem brilliant and viral, but don’t actually convert to product sales. When Plomion was at a different company before joining GumGum, he and his team came up with a brilliant twist on Cards Against Humanity. They called their invention “Cards Against Marketing”, launched it, and had a huge hit on their hands. Unfortunately the majority of people who loved their clever marketing product weren’t actually qualified target users for their product. “A marketing idea may be fun or exciting, but it needs a strong business rationale for both GumGum and our customers to push the initiative through,” Plomion emphasizes. He revealed that the company lets go of creative ideas if they offer limited meaning for clients, don’t demonstrably translate to topline revenue, or don’t support their buyer’s journey. Companies don’t buy, people do. The most effective content marketing you can do may very well target just a single person. GumGum salespeople had been trying to close T-Mobile for months when one of them approached Plomion for marketing help. He and his team researched T-Mobile’s charismatic CEO John Legere, an active Twitter user who regularly engages with T-Mobile users. He and his team discovered that Legere had a long-time passion for comic books and was obsessed with Batman. A brilliant marketing campaign was born. Plomion and his team designed a fully personalized comic book with a custom narrative featuring the telecom CEO as a caped crusader reminiscent of his favorite hero, working with a swanky personification of GumGum as his sidekick. 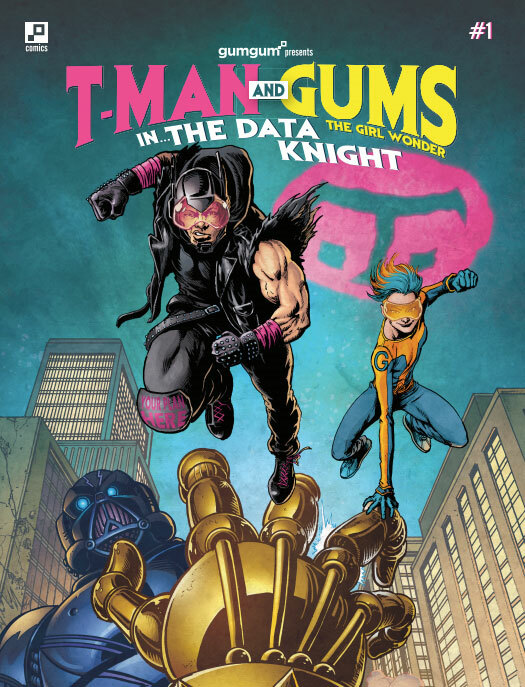 Just as T-Mobile is the underdog fighting against the behemoths of AT&T and Verizon in the real world, T-Man the Data Knight battles his comic book enemies with the help of AI and computer vision. His media buyers were also impressed and reached out for a meeting. T-Mobile is now GumGum’s biggest account on the West Coast. Not every content campaign will involve the CEO of your target buyer company, so you still need to do research and develop meaningful relationships with the right group of influencers who can be instrumental to your brand. Nudge works with influencers like Brian Burns and Jill Rowley who are masters of social selling. Create high quality content that you think influencers deeply care about. Take their vantage point, instead of approaching the issues from the perspectives of either your brand or your direct buyers. Test the message with a few industry influencers first for a period of a few weeks. If the messaging proves valuable within a given period, expand the campaign to several months to drive more extensive conversation about your product. Nudge’s How I Buy series is a prime example of introducing a more impactful perspective into a marketing conversation. Most educational content in their industry focuses on how to market or sell an enterprise technology. Rather than add to this conventional angle, Khan and his team decided to focus on the other side of the equation: the buyers. They profiled big buyers in the tech space including CEOs, CFOs, CMOs, CTOs, and other check-signing executives to understand their customer journeys and how they approached important software purchases. 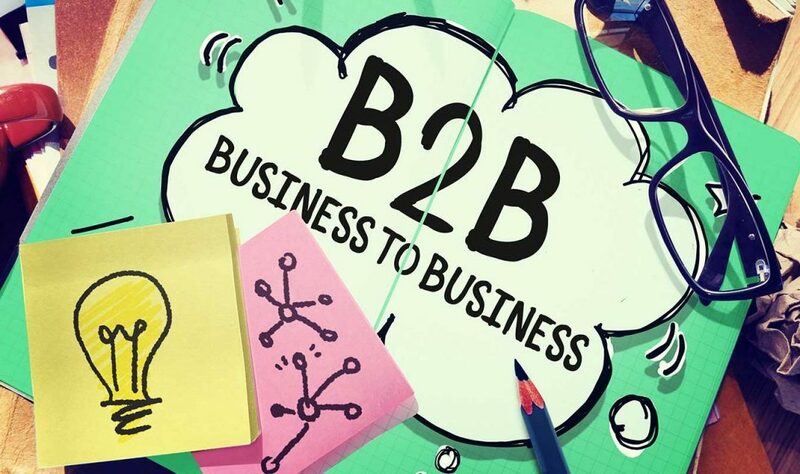 As conversations around enterprise AI continues to evolve, B2B marketing teams at AI vendors need to embrace creative content and influencer tactics to be maximally effective. Success involves fine-tuning your approach to making your brand stand out in the important conversations that drive your niche. One impactful way to do so is to shed the hard-sell personas and engage influencers on topics they care deeply about. Even in an age where machines rule, meaning still matters.